Man Normalizes Menstrual Pain, But The Internet Was Quick To School Him! He was of the opinion that nothing could be as bad as a scrapped knee, not even those cramps that every lady has been complaining about since ages. Out of several distinctions between men and women, there two things that most man can never really understand. No matter how empathetic a guy is, they can never completely know the pain women suffer during the birthing process and their periodical flow of blood. Of course, there are a bunch of guys out there who have challenged themselves to undergo simulated labor pain (to know what birthing feels like) and mechanized menstruations but surely it's nowhere close to the real deal. Unfortunately, not everyone believes in the same. 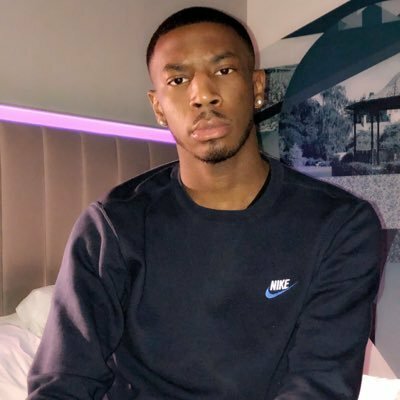 Recently a guy took to Twitter to express his views about the menstrual cramps that women face every month. According to him, these cramps are negligible in the face of 'a skinned knee'. He was of the opinion that nothing could be as bad as a scrapped knee, not even those cramps that every lady has been complaining about since ages. 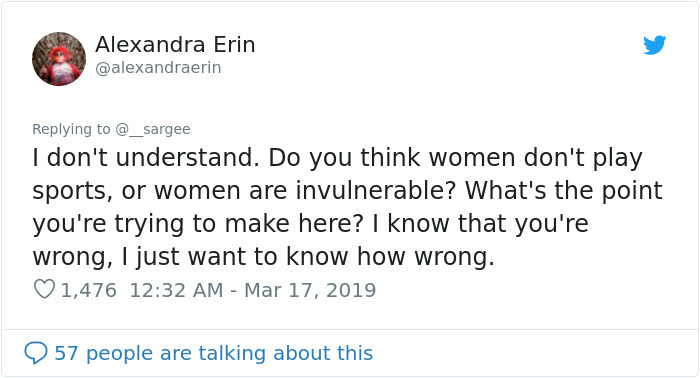 This guy had some nerve to call out women for overreacting about their menstrual cramps on a huge platform like Twitter. Surely this opinion didn't go unnoticed by hundreds of women who were rag. Women didn't hesitate even a bit to respond to his absurd statements that showed him exactly where he stood. Here are a couple of responses posted by the ladies and let me tell you each of these spewed fire which he just couldn't handle. This nameless twitter user @_sargee shared a picture of a soccer player in the process of falling alongside an image of scraped knees. He captioned these images saying, "Until women experience this, I don't wanna hear about periods pain." I guess, this 'man' forgot that we also have women athletes who have surely scrapped their knee at some point. So why didn't he take that into consideration? 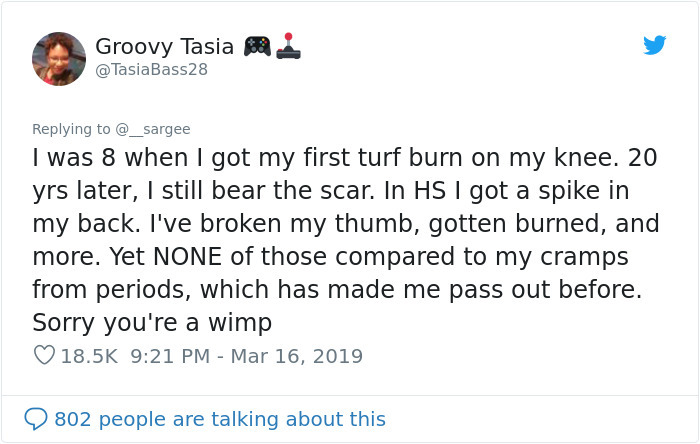 @missbreton didn't restrain herself from using a hint of sarcasm as she said, "which knee does the baby come out of"
Another Twitter users @TasiaBass28 decided to share an incident about the first turf burn she suffered on her knees. She has experienced several forms of pain from a broken thumb to a spiked back but none of them could match the pain that her cramps gave her. While @quillmecarol dismissed all arguments! People just kept going at him. 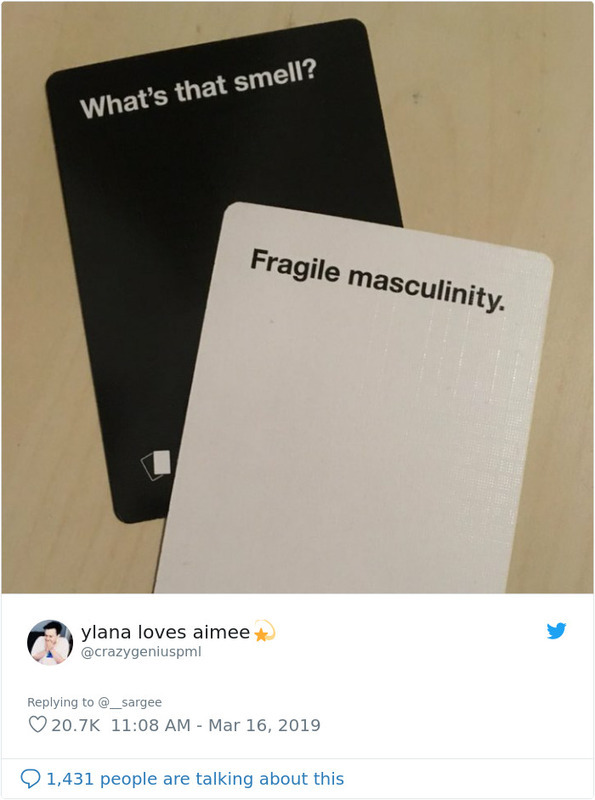 Can you survive this burn? LMAO. "I don't want to hear any woman talk about period pain. This professional athlete skinned his kmees"
@piercesinha brings a very valid point to light. @Peachy_RM turned @_sargee's comment against him. @ess_phoenix equates the pain with the feeling of being stabbed in the gut. And it has been proven several times. Men spoke against it too! In speaking with my wife, if you complain about this, you probably couldn't HANDLE period pain. At least this pain is something you get to choose.. Women don't necessarily get to opt out of that pain. This was the best reaction out of all of them!